Don't just set goals, make them smarter. Anyone who works from home probably knows how important it is to set goals. written business marketing plan in place as opposed to some wishy-washy unwritten goals. You may have heard of smart goals but not everyone knows how to set SMARTER goals. SMARTER stands for Specific, Measurable, Attainable, Relevant, Timeliness, Evaluation, and Reevaluation. 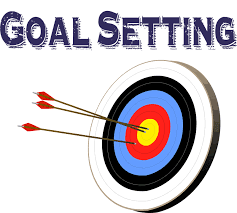 The first part of SMARTER goal setting is the S- be specific in your goals. Don't set vague goals or else you'll be prone to saying you completed your goal when you didn't really accomplish anything. The more specific, the better. The M means to make sure your goals are measurable. If you can't measure your goal then how can you say whether or not you actually completed it? Instead of saying "Work on Project A" make it a goal to "Spend two hours on Project A." Time goals are extremely easy to measure. Make sure your goal is attainable. If you can't actually attain your goal, then you're just going to bring yourself down when you fail. It's important that you set goals that you can actually accomplish so that you're not ruining your morale. Your goals should also be relevant to the project you're working on. It's okay to have a few goals for another project, but the majority of your goals should be focused on the main project you need to accomplish. Making progress on another project is good, but not if it comes at the cost of not making progress on the more important project. Make sure your goals are timely. Don't set goals for ages down the road. Instead, set smaller goals more frequently. If your goal is to finish Project A by the end of the month, then that gives you plenty of room to slack off. But if you have smaller goals throughout the month, you won't be able to slack off. So instead of setting one large goal, set smaller, more frequent goals. Evaluate your goals periodically. All corporations have written business plans with goals that they review every quarter then at year end. Your goal period determines when to do the first evaluation. If quarterly is appropriate then do so, if monthly is better then do it then. But the point is a goal is useless without evaluation, then reevaluation! At the end of your goal period, whether it's the end of the day, week, or month, you also need to reevaluate the goals you set. Did you accomplish all of them? If not, figure out why not. 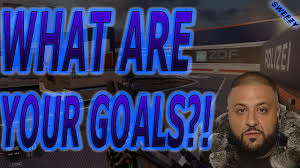 Was it a problem with the goal itself or was it a problem with your work habits? What can you do to ensure you hit all of your goals next time? If you follow this path of SMARTER goal setting, then you'll see a huge increase in your productivity. When you don't have someone looking over your shoulder every day, it's very easy to slack off. With these goal setting methods you'll be able to hold yourself accountable. Trust me, you'll be glad you started using this method of goal setting. Deb Bixler is a direct sales trainer who used a party plan business to her corporate job position. She now teaches wanna-be direct sellers how to start a party plan business and work at home. #DIGITAL: Set Goals – Evaluate And Re-Evaluate Often!